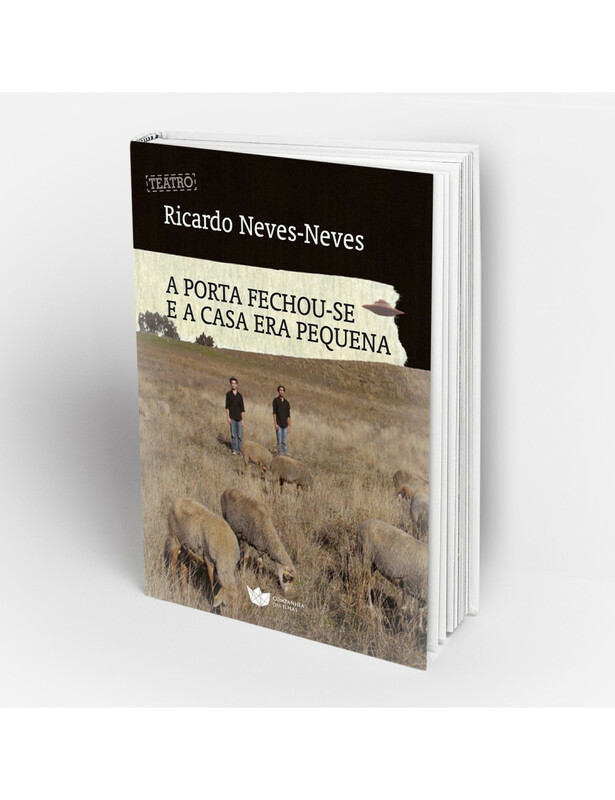 Home > BOOKS>"A porta fechou-se e a casa era pequena"
Two realties looking for a house. Moreover, a realty searchs for a home. The other is just there to open the door. The buyer and the agency worker throw themselves from the top of a waterfall and go searching for a house or a cave or a fresh watermelon where the realty can live in. In this anti-epic account, the characters run around the polis with their eyes turned 360º. Has a degree in Actors-Theatre in Escola Superior de Teatro e Cinema. In 2012, works in the Obrador d’Estiu-Dramaturgia (Barcelona). Founder of the Teatro do Eléctrico, where he wrote and staged O Regresso de Natasha, Manual, A Porta Fechou-se e a Casa Era Pequena, O Solene Resgate, Mary Poppins, a mulher que salvou o mundo. Stages A Festa, by Spiro Scimone. Writes Fantoches Gigantes and Delírio non-desvario. In Primeiros Sintomas he is part of a team of shows staged by Bruno Bravo, Sandra Faleiro and Gonçalo Amorim, with texts by Miguel Castro Caldas, Fernando Villas-Bolas, Emília Costa, Oscar Wilde, Tchekhov, Brecht, Bernard Pomerance, Prokofiev, Alain-René Lesage, Samuel Beckett, Ibsen and Paul Auster. At Artistas Unidos is staged by Jorge Silva Melo, in A Morte de Danton by Buchner. In Teatroesfera is staged by Paula Sousa, Teresa Faria, Paulo Oom, Ana Piu, Rui Luís Brás and José Rui Martins. Colaborated with Teatro dos Aloés, Comédias do Minho, Cassefaz, Procur.Arte and Casa Conveniente.